Discover why women are so often unhappy with their appearance—and how they can learn to love themselves. When women are told that what is important about us is how we look, it becomes increasingly difficult for us to feel comfortable with our appearance and how we feel about our bodies. We are told, over and over—if we just lost weight, fit into those old jeans, or into a new smaller pair—we will be happier and feel better about ourselves. The truth is, so many women despise their appearance, weight, and shape, that experts who study women’s body image now consider this feeling to be normal. But it does not have to be that way. It is possible for us as women to love ourselves, our bodies, as we are. We need a new story about what it means to be a woman in this world. Based on her original research, Hillary L McBride shares the true stories of young women, and their mothers, and provides unique insights into how our relationships with our bodies are shaped by what we see around us and the specific things we can do to have healthier relationships with our appearance, and all the other parts of ourselves that make us women. 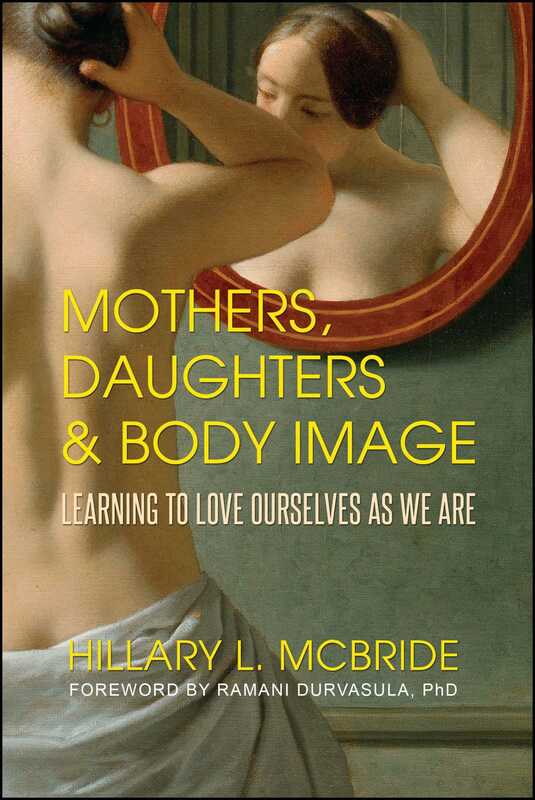 In Mothers, Daughters, and Body Image McBride tells her own story of recovery from an eating disorder, and how her struggles led her to dream of a new vision for womanhood—from one without body shame, negative comparisons, or insecurities, to one of freedom, connection, and acceptance.